Last week, 32 members of the International Whaling Commission (IWC) Scientific Committee submitted a joint letter to Nature journal denouncing the spurious science behind Japan’s revised whaling programme, ‘NewRepA’. Pulling no punches, the letter, entitled “Japan’s whaling is unscientific”, highlights the ongoing concerns regarding the scientific merit in Japan’s revised whaling programme and the IWC process of scientific review. 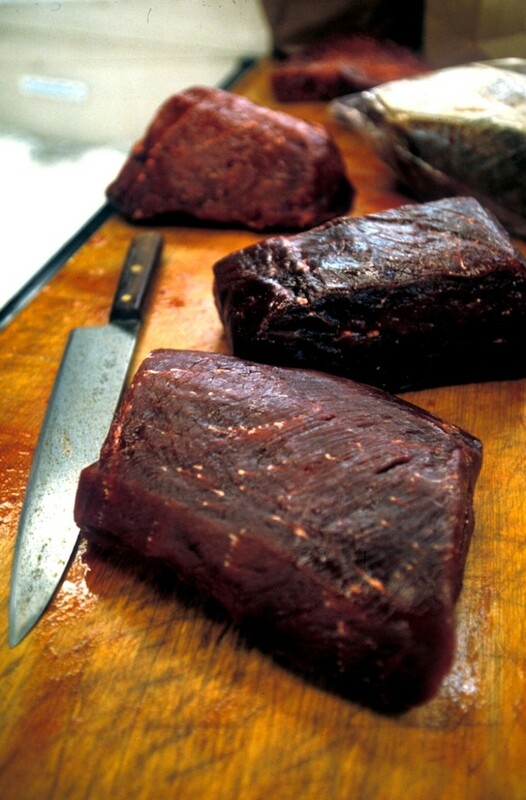 Japan’s special permit whaling has long been criticised as primarily for commercial rather than scientific purposes, with the meat sold for human consumption. It has faced long-running opposition, culminating in the historic 2014 ruling of the International Court of Justice (ICJ) which found that Japan’s Antarctic whaling programme (JARPAII) was not for “purposes of scientific research” and so ordered Japan to cancel the permits. Japan has since developed NewRepA, under which it proposes to kill up to 333 minke whales every year until 2027 to collect data that it claims will improve biological information on Antarctic minke whales and the marine ecosystem. 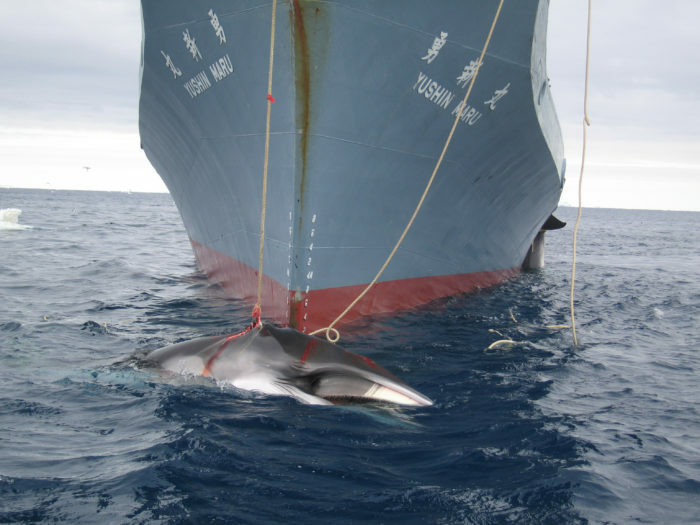 One of the main aims in collecting such data, and one that Japan is not shy in stating, is that the additional information could be used to increase the allowable catch limits of Antarctic minke whale, should the IWC moratorium be overturned. Despite two rounds of review of NewRepA – including one by an independent expert panel which concluded that lethal sampling had not been justified – Japan has failed to alter its plans in any meaningful way. The panel recommended that Japan explore other non-lethal methods but the country’s whaling fleet has already set out on its Antarctic hunt under a self-determined quota. In October 2015, Japan also rejected the future jurisdiction of the ICJ on this issue. Scientists are not alone in calling on Japan to end this lethal travesty, with a formal diplomatic protest from 33 countries delivered to the Japanese Government in December 2015. The top-level protest registered countries’ “strong opposition” to Japan’s decision to resume whaling in the Antarctic and urged it, as a member of the IWC, to respect the IWC’s procedures and the advice of its scientific body. As a signatory to the letter, I am glad to see scientists collectively publicise their opposition to Japan’s flagrant abuse of science. The number of signatories may seem low but this does not illustrate a lack of support from the wider scientific community, rather that the letter was only open to be signed by members of the IWC Scientific Committee who attend as part of their respective country’s national delegation. Indeed, an open letter to the IWC in 2015 registered the opposition of over 500 scientists. In taking a unilateral decision to proceed with its whaling programme, despite the findings of the IWC panel, Japan is making a mockery of IWC process and scientific standards of peer review. As the letter points out, further discussion of special permit whaling at IWC-SC under the current procedure, in which the opinion of proposers is afforded equal weight to that of referees, is a complete waste of time. The IWC urgently needs to develop a process of scientific review that results in clear decisions which can be respected by all. Until such time, it will only ever produce statements either in support of, or refuting, the science – and what should be an objective process instead remains mired in politics. Frustrating as this is, while we push for reform within the IWC we can also continue to push for greater diplomatic attention; if you haven’t already done so, please sign the petition here to help ensure that the UK Government take every opportunity to oppose commercial whaling.